Both men said [Trevor] Noah�distinguished himself from other comics by resisting labels and "genre-based comedy." [Schalk] Bezuidenhout noted that Noah always identified himself as a mixed-race South African raised in straitened circumstances in Soweto without "using it as a crutch." Contemporaries who have shared the stage with him say he's unusually attuned to the audience, shifting direction based on the feel in the room, and Bezuidenhout has seen Noah drop chunks of material based on the city he's performing in. This was a quality that a number of immigrants in South Africa had already mentioned to me. Omega Chembhere, a waiter, told me that when he had arrived from Zimbabwe 10 years earlier, much of South African pop culture had seemed inaccessible. "Trevor's different, so good at it," he said. "His strength is that everything springs from his experience in life, but you understand his reality because he makes an effort to explain." Douglas Foster, "Trevor Noah's World," The Atlantic, April 5, 2015.�http://www.theatlantic.com/international/archive/2015/04/trevor-noah-world-south-africa-comedy/389697. “My mother understood she was raising two black children to be black women,” [Kamala] Harris said in the interview, a line she has often used to settle questions on the subject. Shyamala Gopalan Harris encouraged her daughter to go to Howard [University], a school her mother knew well, having guest lectured there and having friends on the faculty. 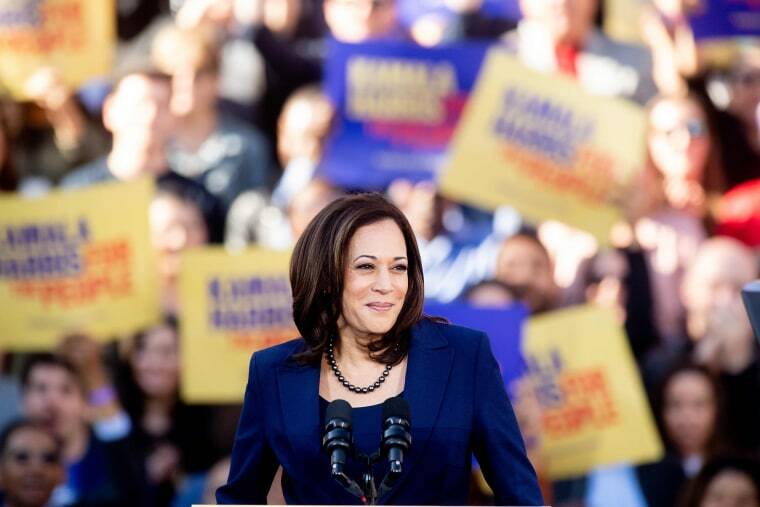 Evan Halper, “A political awakening: How Howard University shaped Kamala Harris’ identity,” The Los Angeles Times, March 19, 2019. https://www.latimes.com/politics/la-na-pol-kamala-harris-howard-university-20190319-story.html. It’s 2019, Why Are We Still Policing Blackness? Comments Off on It’s 2019, Why Are We Still Policing Blackness? United States Senator Kamala Harris answers a question during “Politics & Eggs” at the New Hampshire Institute of Politics St. at Anselm College in Manchester, Feb. 19. The presidential hopeful knew the comment was coming. “There are African-Americans who don’t think you’re black enough, who don’t think you’ve had the required experience,” said the white journalist, trailing off before he could define “the required experience.” In a voiceover, he’d already mentioned that the politician was “not a descendant of slaves,” as if that fact automatically impugns black authenticity. Harris has answers to both questions. They will appear in this column. But let’s take a look at why these questions turn up in a presidential contest. While the California Democrat has caught the eyes of South Asian voters, some say her ethnic background isn’t enough for them to identify with her. Shiv Dass, 82, recalls fondly the time he met Hillary Clinton when she visited Jackson Heights, in the Queens borough of New York City, while campaigning in the 2016 presidential election. Dass, the owner of Lavanya, an Indian apparel store on 74th Street for almost a quarter century, described the Clintons as having a close relationship with the Indian-American community, owing in part to what he said was Bill Clinton’s support of India when he was president. 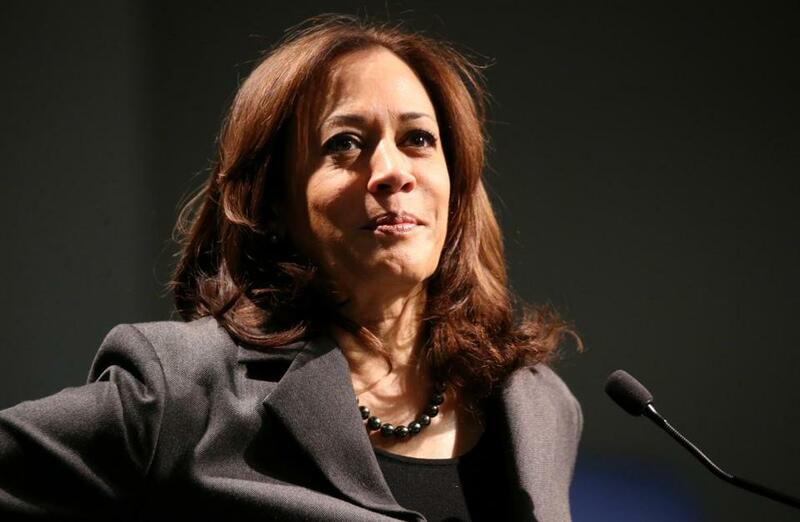 Now that a woman with Indian roots, Sen. Kamala Harris, D-Calif., is running in the 2020 presidential race, Dass, a Democrat, will have some decisions to make.